Today, Khortytsia is a beautiful national historical and natural reserve, where many types of rare plants and animals can be found. The territory of the reserve includes (along with the main island) numerous other boulders and islands, some of which have very unusual names. 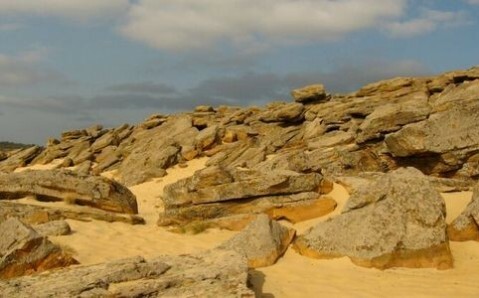 For example, one of the rocks is called Catherine's Couch. 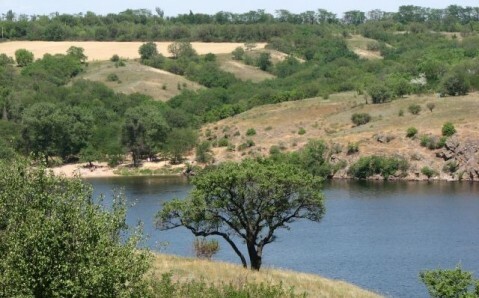 Legend tells it that the Russian Empress Catherine the Great stayed nearby on her way to Kherson. Historians have their own version: the form of the rock is really reminiscent of a couch, but the Empress has nothing to do with it. 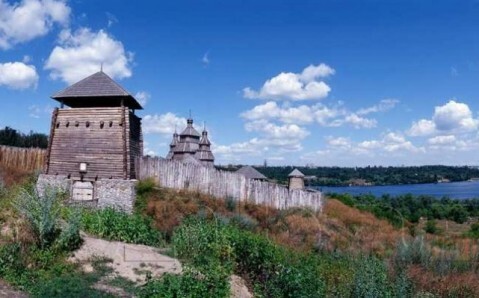 All of the relics are kept in the History Museum of the Zaporizhian Cossacks (tel. : 252-73-17, 9 a.m. - 5 p.m., 8 UAH, closed Mondays). 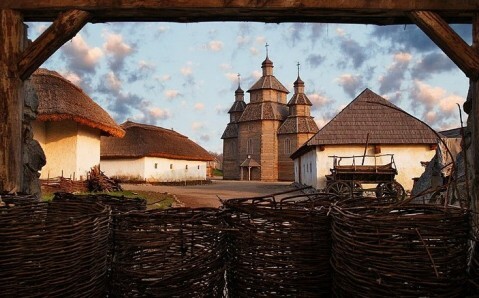 Its collection has over thirty thousand items that help show the history of the island during Cossack rule: there are weapons, clothes, everyday knickknacks, and items used in a church. The museum’s exhibits cover other periods, too: ancient times and Kyivan Rus, as well as the modern history of the region. Four dioramas can also be found in the museum. 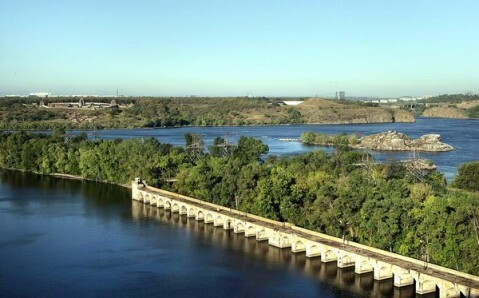 And a fantastic view of the DneproGES dam (the Dnieper Hydroelectric Station) opens up from the museum’s observation deck. 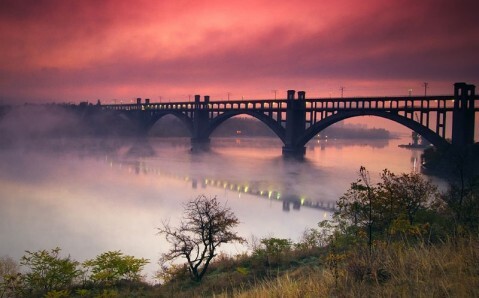 Recently, in 2009, a new sight appeared on Khortytsia - the historic-cultural complex ‘Zaporizhian Sich’ (tel. : 252-51-88, 09:30 a.m. - 4 p.m., 6 UAH, closed Monday) that immediately became of the island’s main attractions. 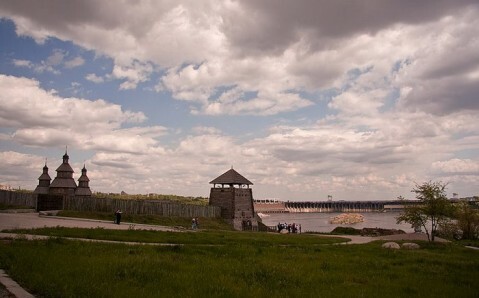 It is a reconstruction of an old Cossack fortress and it takes visitors into the Sich atmosphere of 16th - 18th centuries. 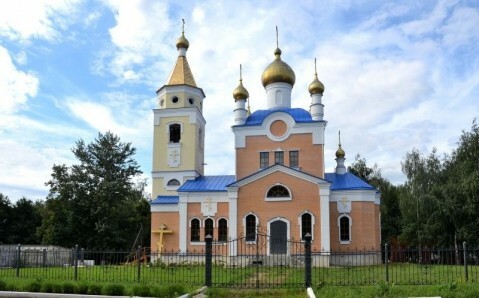 Here you may see a wooden church, built in the traditional style, Cossacks’ straw huts, carts and wagons, and various other buildings. 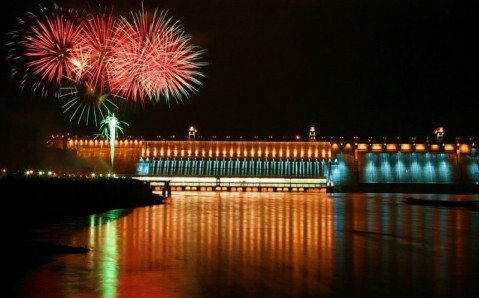 The main draw of the island is the horse theater ‘Zaporizhian Cossacks’(tel. : 701-24-81, 50 UAH). Theatrical performances take place on an improvised stage, where Cossacks demonstrate their mastery of horses as well as various games and entertainments. You may go through ceremony of initiation into a Cossack tribe. Отличный отель. Лояльные цены. Вкусная кухня. Сильная позитивная энергетика. Бесплатный вайфай.